Great Western Recreation, the exclusive representative for GameTime in San Luis Obispo County, is excited to announce the opening of Joy Playground. 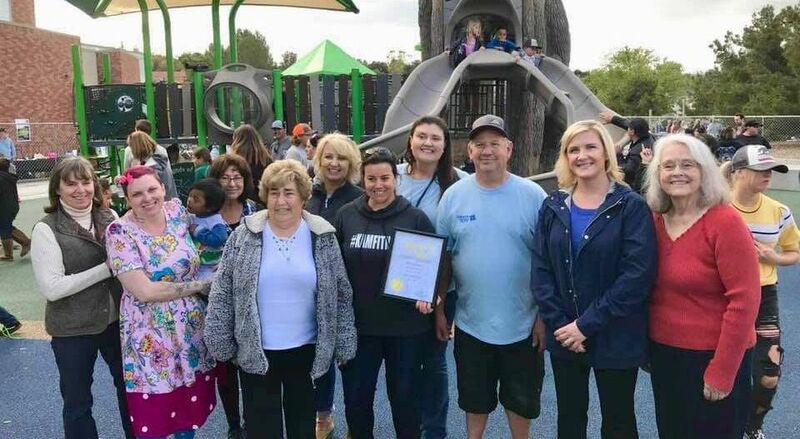 Not only is it the first fully-inclusive playground in Atascadero, California, it is the only fully-inclusive playground in San Luis Obispo County. 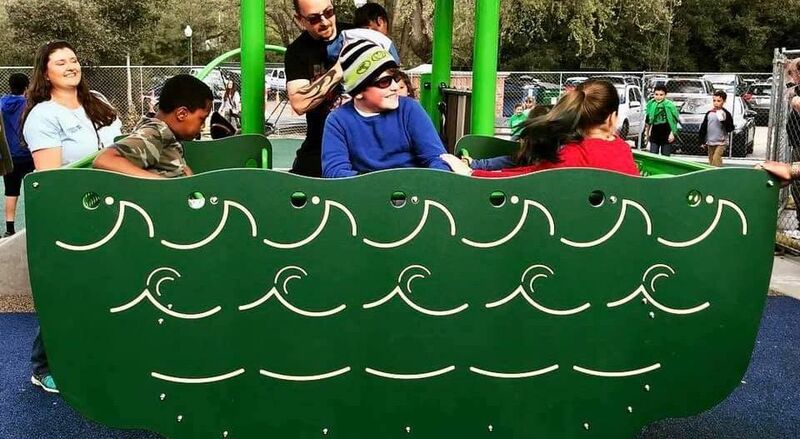 Parents For Joy, a group comprised of families of children with special needs, advocated tirelessly to bring this playground to the community. Thanks to their dedication, the community raised awareness for the need for an inclusive playground and also raised the funds to help build it. The mission of Parents for Joy was to create an inclusive playground that will allow all children to do what most kids take for granted: to simply play. Working with Great Western Recreation, the group spent hours researching the equipment to use for this unique playground. They were committed to creating as many play opportunities as possible for children of all ages and abilities. Part of what makes Joy Playground so fun is the forest theme that mimics the beauty of California’s Central Coast. The playground features Poured-In-Place rubber surfacing to make the entire play area accessible, and a fence around the playground’s perimeter discourages children from straying too far from adult supervision. There is an accessible treehouse structure with slides and interactive game panels, a Rock N Raft so children of all abilities can enjoy the rocking and swaying motion together and a Merry-Go-All for inclusive spinning play. The playground also features 12 swings! That’s right, 12! Absolutely everyone can enjoy some swing time at Joy Playground. There's two standard belt swings, two infant/tot swings, two larger swings with a max weight limit of 250 lbs, four Zero-G swings for children who need extra support, and an Arch Swing for multiple users at once. Not only do swings contribute to an engaging, interactive play experience, they also provide developmental and cognitive benefits for children. The fun doesn’t stop there! A Whirlin' Robin Egg (a spinning activity that also provides sensory relief), a dragonfly see-saw, log and mushroom climbers that fit the forest theme and fun fact signs with animal and water sounds are just a few other aspects of the playground that make it a true community destination. Located next to Colony Park Recreation Center in Atascadero, Joy Playground is a true example of how Play Has No Limit®. Any city that wants to promote social equity, physical activity and civic pride must look no further than Joy Playground and the families of Parents for Joy.